Day to day we are asked many of the same type of questions from our potential clients. Our role is not restricted to mitigation installers only. When it comes to Radon, Guardian’s role is not only installation, but education and awareness also. Today we wanted to share a few questions that seem to have a recurring theme to them and truly are considered an “FAQ!” Hope you find this information to be helpful. A: You can do a couple of things here to verify the system is functioning properly. First, inspect the manometer on the radon pipe inside of the house. This will be U-shaped tube typically with red or blue dye in it. If it is showing offset, the system appears to be functioning. Second, locate the actual fan/motor unit and feel or hear that it is working. Third – TEST THE HOUSE. This will ensure that the levels are still within the “acceptable” range for radon gas. A: That’s a great question and one we hear quite frequently. When you are living with a condition that you are unaware of, it’s a hard concept to understand. The answer is this ~ You must have some grounds to invalidate the radon test assuming it was done by a professional testing company. If there are no grounds to do so, then some type of radon reduction method must be performed before you can test again. And in most cases, a reduction method alone (i.e. seal the sump lid, or seal foundation cracks in the basement) is met with limited succes, ultimately costing the seller more time and money. 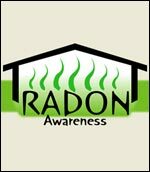 If you’re house has tested elevated for radon, an active radon mitigation system is strongly encouraged. Remember, although it seems like a stumbling block, it not a reason to stop your closing. If you enjoyed this post, please consider sharing on your social media page! !